The Kentucky State Police (KSP) charges 10 cents per released page. There also are charges for photos, compact discs, videotapes and diskettes varying from $2-$3 apiece. The official custodian sends a letter stating how much requesters owe for records. 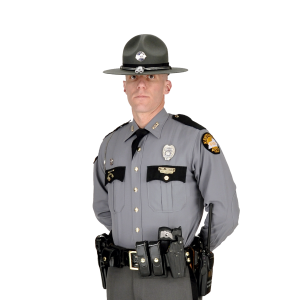 Can I get an accident report from a state police post? Accident reports are among the most frequently requested KSP documents. Accident victims can obtain their own reports from the state police post in which their accidents occurred. Go to http://kentuckystatepolice.org/post-locations/ to locate post areas and their counties. The report can also be obtained from https://www.buycrash.com. You may also send a written request to the Official Custodian of Records at KSP for a copy of the report. The fax number is 502-573-1636. Send to the attention of Official Custodian of Records. If you have questions, call 502-782-1800. Note: Records generally are not available at the time a request is submitted.